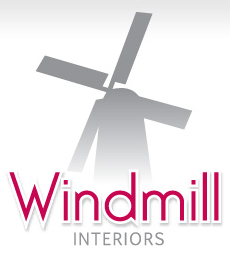 Windmill Interiors - how do we compare? Windmill Interiors is part of Booker and Best Ltd who have been successfully trading in East Sussex for over 30 years. We offer a complete service - from initial ideas through to design and installation and can take care of everything including plastering, tiling, flooring, ceilings plus electrical, plumbing and general building work – in fact a one stop shop for all your home maintenance needs. We pride ourselves on being friendly and truly customer focused. We go the extra mile to ensure you will be proud of your new kitchen, bathroom or bedroom now and for many years to come. We will visit your home and take measurements plus discuss your requirements and budget. Our designers can come to you and supply a no obligation quote – and definitely no pressure, our designers are not commission based. Alternatively, visit our showroom, we’ve plenty to inspire you. Leave it to us to come up with a range of designs. Only when you are happy that we have met your requirements do you place your order. Then just leave the rest to us. An installation date will be agreed and our fitters will install your units, then thoroughly clean the room and only when you are completely satisfied will they leave. All our products carry a minimum two year guarantee so any problems please contact us, we will be straight round.